New York Magazine's Roose calls BlackBerry Z10 "a piece of crap"
New York Magazine is not the first place that smartphone fanatics go for a review of the latest and greatest handsets (as if we had to tell you where you should go first). But in its desire to capture press attention which leads to buzz, which leads to sales, BlackBerry's PR firm made sure that every publication, even ones not focused on tech, received a BlackBerry Z10 review unit (we are eagerly awaiting to see what Highlights says about the phone in between the regular installments of Goofus and Gallant and the Timbertoes). Unfortunately, the demo unit received by New York Magazine Tech/Finance author Kevin Roose passed away after four days, which is not exactly what BlackBerry CEO Thorsten Heins would want to see in the press. We don't know if Roose had been assigned to pen a review of the device,but with the death of the demo unit, Roose decided to author a mock eulogy to his late Z10. Mr. Roose at first mentioned how revolutionary he heard the Z10 was going to be with 70,000 apps (we hope this was meant as a joke considering the 700,000+ apps in the App Store) and BlackBerry Balance. The latter is actually a great feature as it allows one unit to be used at home and the office and in this era of BYOD, it gives an employee's IT manager the ability to disable and block apps from being loaded without permission. Set the phone to home settings, and any app you want becomes available. This is BlackBerry's way to try to make up for all of those Apple iPhone and Android models that are being brought into the work force. After 102 hours, the demo unit died and could not be revived even with mouth to USB attempted. Obviously frustrated, Roose laid into BlackBerry 10 for its failure to offer popular apps like Instagram, Skype and Netflix. Ironically, this weekend, Skype posted a note on its blog that a BlackBerry 10 version of Skype is coming, which is being ported from the Android app. and there are various reports that Netflix is now available in BlackBerry World. Roose said that the whole experience with the Z10 made him feel like he was going back to 2008, a year he loved. Roose ended up calling the phone "a piece of crap," which might seem overdone. First of all, he could have simply asked for a new unit to replace the one that died. Had he suffered through the launch of the BlackBerry Storm in 2008? Now that was a disaster of biblical proportions. We invite New York Magazine readers who want to see a real review on the BlackBerry Z10 to check out ours by clicking on the link. Indeed. 69 thumbs up for that ny magazine....should be hired by pa to write news and articles as i said, bb 10 will fail hard..
hi mr.roose... why dont you use your real name instead of a cover up. you are the piece of crap in my opinion. so you're saying that i'm the writer who disguise as pa user? I also think that BlackBerry failed! And for those who going to say that I'm hater or that it is my wish or so... I want to say that I'm not a hater and it is not my wish, it is my opinion, I think that BlackBerry failed! hahah fail!....but than again it was maybe a faulty one, these things happens! Hey Roose , if BlackBerry Z10 is a piece of crap , go and make a smartphone . Right, what about the huge amount of Galaxy S3's that are dying? By your logic that is also a shame for Samsung RIGHT? The difference is, Samsung is at the TOP. 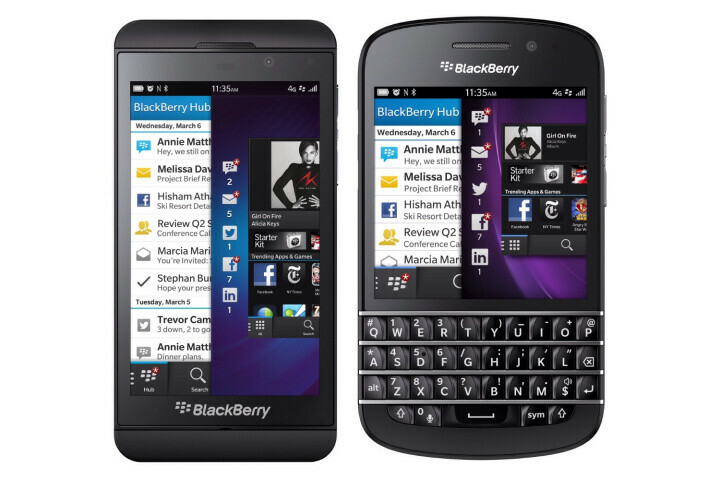 Blackberry is at the BOTTOM, there is no room for errors. If they want to rise to the again, then improve their product's quality. No. No brand has room for errors be the brand big or small, a phone that dies for no reason is not a good phone, this applies to Samsung also, stop being a fanboy. And the problem is already fixed by Samsung.. Right, it has hapenned to one person so far. If it keeps on going then you can diss them because hardware failures are unpredictable. 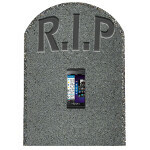 Now a 400+ page thread on XDA about SGS3 sudden death seems more of a problem than one blackberry that died. iPhone fanatic and not a reviewer. Did you not read his quote? I'm not a huge fan of BlackBerry, but any journalist that describes something as "a piece of crap" loses a lot of credibility in my view. Did you see this article http://www.phonearena.com/news/BlackBerry-Z10-drop-test-is-out--pavement-wins_id39514 He may be justified in calling it "a piece of crap". He acually used the device. if you are a type of person resist change then no one is forcing you.. i think mr. Roose is entitled on his opinion but his ways of writing is too pathetic, too much one sided the BB's advantage are shortly comprise in a word or phrase. as a journalist you have the power of influencing other people's mind. so as much as possible you should give an honest and as much as possible neutral opinion and not a one sided one its a shame that NY mag is paying a writer writes crap and empty article..
You are not making sense at all. Your reasoning is so crappy! !